Whether it’s a late night bite or lunch in a rush, there’s no shortage of food on the fly in 417. When you think of “fast food”, you may envision the likes of McDonald’s, Taco Bell, or Burger King. Throw those visions out the drive-thru window, because Springfield’s new takeout scene is elevating fast food to a whole new level. Today’s foodie-on-the-go can enjoy quality flavors, fresh ingredients, and healthy options at great prices — you just have to know where to look! 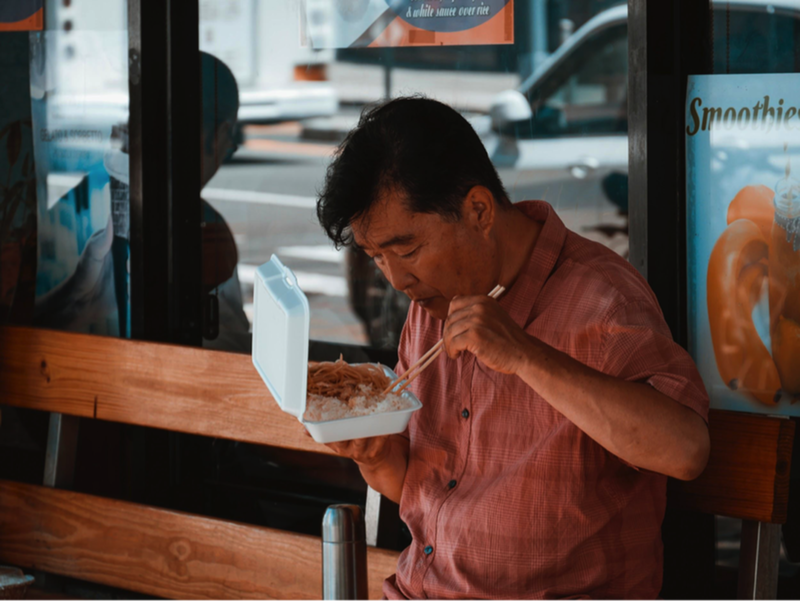 The team here at TLC Properties has rounded up some of the top takeout spots in 417-land according to the people who know best: Springfield locals. So chow down on this list of the best to-go, and get ready to take your tastebuds to Flavortown! Cecil’s is famous around 417 for delicious made-from-scratch flatbreads, like the Jerk Chicken and slow-roasted Pork Cubano. 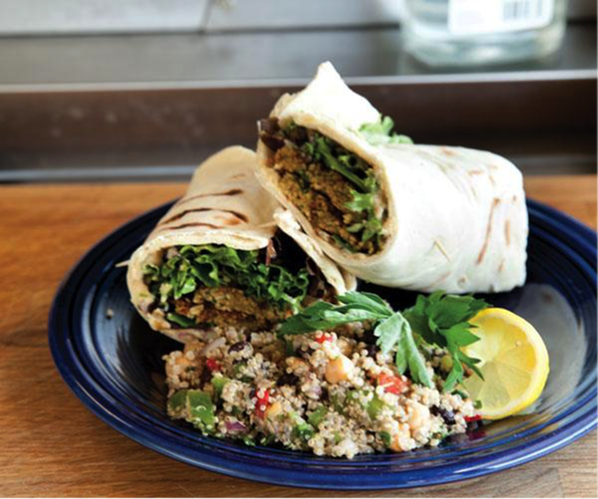 They even offer plenty of veg-friendly options, such as the Vegan Falafel with creamy hummus, greens, and tahini sauce. Owner Cecil Manning, a vegetarian himself, has infused the menu with the influence of his Louisiana roots (three words: Try the Gumbo!). You can find Cecil’s food truck at various locations around town, including the SGF Mobile Food Park and the Farmer’s Market of the Ozarks. If you’ve caught a craving, give them a call to see where they’re at today. “Best cubano in town. Homemade bread, tender pork, cheese, and mustard that makes for a perfect sandwich. Pairs well with the hummus they have for a side. I eat this sandwich at least twice a week. Keep up the incredible work Cecil's!” - Andrew L.
“Fast food that is healthy, reasonably priced, eco-friendly and totally DELISH. ...it's a no brainer!” - Joni A. “The flank steak with a side of tater salad is the best lunch I've had in Springfield for a long time. Fresh, from scratch food, don't miss this place!” - Jason H.
Mama Jean’s Natural Market & Deli offers a wide array of healthy yet tasty carryout goodies. 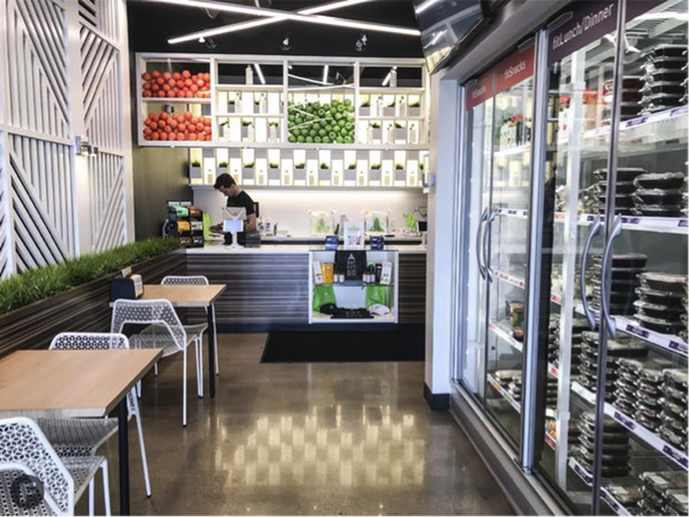 Fresh pressed juices, peanut udon noodles, Greek quinoa salad, curried carrot soup, and hot paninis are just some of the selections you may find at MJ’s on any given day. And for those who seek gluten-free, non-GMO, vegan, vegetarian, and/or organic options, Mama Jean’s has you covered with an expansive menu designed for special dietary needs. 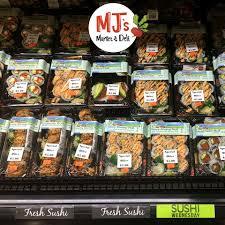 Pro tip: On Wednesdays, make sure to check out MJ’s for their $5 sushi roll specials! “In a city that caters to fast food diners, it was a breath of fresh air to find MJ’s market and deli! The smoothies are fantastic! I had the asparagus and white bean soup today and it was amazing! Great selection of non-GMO/organic offerings.” - Colleen F.
“The fresh food they prepare is outstanding. I hate bleu cheese dressing -- but I always take a free sample -- and wow, this stuff was good. I bought some! Soups are some of the best in town.” - Trent C.
“I went here with a friend for lunch, and couldn't believe all the great items on the salad bar. Everything was fresh, with some unique additions such as brussel sprouts and green beans. It was reasonable priced and food was very good. 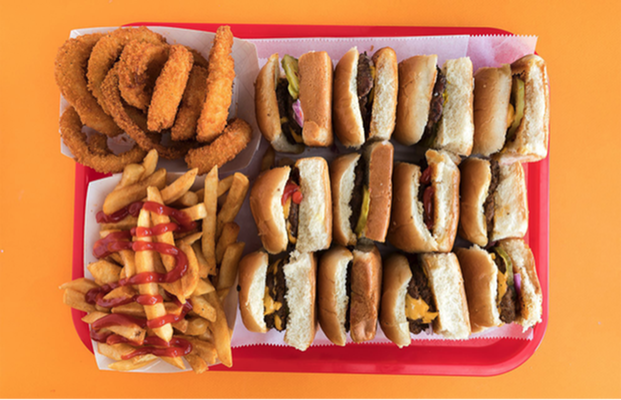 I'd definitely return when in town again.” - Masey D.
When it’s late night and you’ve got burgers on the brain, there’s no better fourth meal than a sack of sliders. Slider’s has long been a staple in Downtown Springfield. Their simple menu gives you everything you need, and nothing you don’t, including single, double, or triple patty burgers, fries, and milkshakes. “So good. Had for first time and arguably the best burger in Springfield.” - Austin P.
“Best burgers downtown!! Go every chance I can. 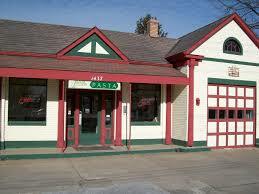 Great people, great atmosphere!” - Brad H.
“Best fries in Springfield! I ask for extra crispy and that's what I get! Yum!” - Grace T.
Luco’s Pizza is new to the 417 food scene, but in just a short time they’ve already made quite the impression on Springfield’s pizza connoisseurs. 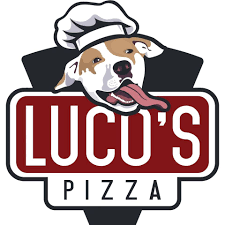 Luco’s specializes in gourmet, hand-tossed pizzas with unique ingredients such as Sriracha bourbon sauce, fig jam, and boursin cheese. There’s a pizza to please every palate on Luco’s menu, from mild to wild! We personally prefer wild, and the “Fire Starter” pizza hits the spot: Olive oil, mozzarella, Sriracha chicken, red onion, gorgonzola, and a ranch afterbake. “It looks beautiful, tastes amazing -- such great flavor combinations -- and it was so affordable! We are done with chain pizza and Luco's is our new spot. You cannot beat a large half and half speciality pizza for 20 something dollars!” - Amy L.
“The crust was super fresh and the sauce was so fire! Definitely recommend this for any fellow vegetarians in the area. The Veggie Wedgie was off the charts! I will for sure make this my go to pizza place from now on. The staff were extremely kind, and the restaurant was super clean and well kept! Wish I could rate higher!” - Cassidy S.
“Delicious pizza! Great topping options, reasonably priced, and great staff! Luco's is on our top 5 list of favorite Springfield restaurants!” - Shaniqua O. Fast food doesn’t have to mean “bad” food. Keep your diet in check while on the run at Eat, Fit, Go. Step inside and you’ll find a slew of refrigerated cases piled high with freshly-prepared, healthy frozen meals that you can take home, to the office, or heat up onsite. Eat, Fit, Go offers breakfast, lunch, and dinner entrees for on-the-go hankerings at any time of day. The selections rotate regularly, but we highly recommend the Berry Overnight Oats and Chicken Pesto Zoodles. “Great healthy food at a great price. I always feel good after eating anything from here -- and I love how all the nutrients are listed on their meals. Nothing better than eating yummy healthy food that you don’t have to cook yourself!” - April W.
“Springfield needed something like this! The food tastes delicious, prices aren't bad at all. You get so much food for what you pay for. I would give it ten stars if I could. On top of the delicious food, the workers were super friendly!” - Mikalah T.
“This has been a Godsend when I don't feel like meal prepping and staying on course. The staff were easy to talk to and very friendly. Did I mention the food? So good!” - Chandas L.
If you’re craving mouthwatering Italian food that won’t break the bank, look no further than Otts Pasta Carryout. This unassuming little pasta joint has earned its spot as a cult-favorite for aneilating hunger pains at the lowest price in town — all entrees include salad and bread for only $5.11! Make sure to try their House Casserole, which is a heavenly combination of three cheeses, egg noodles, meat, and tomato sauce. “Awesome food, awesome value! You can't get pasta like this elsewhere for the price. Love it! Thanks Ott's!!! !” - Brandon B. “Best tortellini hands down. The Alfredo sauce is amazing. The salad is awesome. No complaints. And it's an awesome price!” - Candice W.
“Serving size is definitely worth the price. Probably the best pasta I've had in town. Cutest little joint in Springfield. 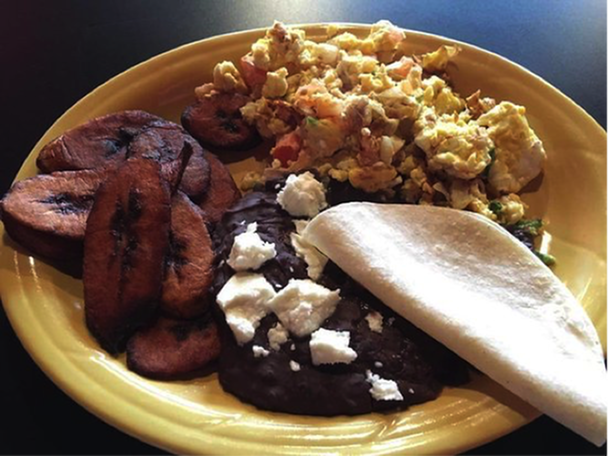 Go there now!” - Kaurine B.
Wilhoit Plaza, 431 S. Jefferson Ave.
Yoselin’s was named a “new favorite” by the Springfield News-leader in 2017, and for good reason. This relatively new restaurant to the downtown scene is serving up the most authentic Mexican flavors in all of 417, thanks to owner and Mexico City native Juan Pavon. Yoselin’s street tacos are a guest favorite, especially the “Barbacoa” (Mexican barbecue) and Carnitas. You’ll also find other savory traditional options like hot stuffed Gorditas, piled-high Nachos Supreme, chorizo Sopes (the chorizo is made in house, fresh, every day!). And the best part? Yoselin’s makes takeout as easy as the click of a mouse with online ordering. “Table side guacamole was perfect. The roasted jalapeno sauce on the table was the best jalapeno sauce I have ever had, and the house-made bread for the tortas was legendary. They obviously care about what the do, and it shows. Thank you Yoselin's.” - Eric W.
“Best torta in town. Great quality for the price. I'm gonna be craving these all week!” - Helena S.
“Had my first tacos from Yoselin’s last night...they are GREAT! Not greasy...still crunchy when I got them home and the sauce was AWESOME!” - Vicki A. Take in The Takeout Scene! Don’t settle for that microwave dinner at your apartment; get out and experience Springfield’s takeout scene! It’s the best way to try new flavors, fast, while still leaving your bank account in check. What’s your favorite takeout spot in 417? Share your recommendation in the comments section below. Then, make sure to share this article with your foodie friends on Facebook and Twitter!